Sergio Ramos has revealed he and his family received death threats after he injured Liverpool's Mo Salah in the Champions League final. 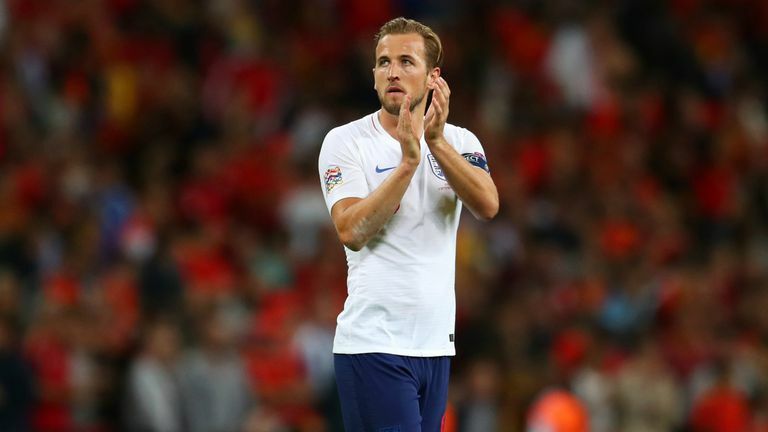 The Real Madrid captain, whose challenge forced Salah off after 30 minutes in the May final, was reacting to jeers he received from England fans during Spain's 2-1 win at Wembley on Saturday night. However, Ramos, who said he did not care about any potential negative reception ahead of the game, insists he did not intend to injure the Egypt international and says he feels no guilt for his actions. "I would have liked another reception because people only remember the action of the final, and nobody remembers the death threats that my family and my children received. "It is a very sensitive issue that people maybe take as a joke about and [that's why they] whistle in a great stadium like this. My conscience is very clear. I already explained [what happened], and I do not have to give more explanations. "You never expect a reception that is not good because, as I said the other day, if these [English] fans have something good, it is that they have always been with the great players. It has not been like that, but I am very calm, with my conscience very clear in that aspect. "As I said before, I have never tried to hurt a colleague. There are people who may have misunderstood it, but these are football things. It will not change anything in my game or in me." 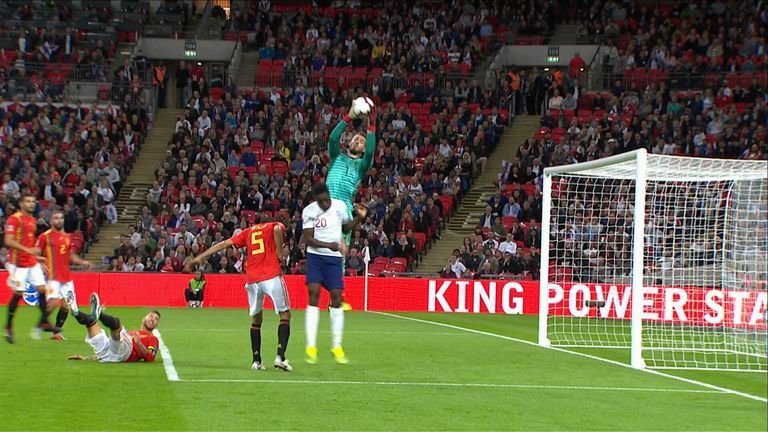 David De Gea, who has come under criticism in Spain after making multiple mistakes during the World Cup, made some crucial saves from Manchester United team-mate Marcus Rashford to maintain his side's lead at Wembley. However, Alex Oxlade-Chamberlain and Jermain Defoe were adamant De Gea got away with an error when Danny Welbeck's goal, deep in stoppage-time, was disallowed for an apparent foul on the United 'keeper. "He is a great goalkeeper. We have always said it," Ramos said of De Gea. "The big games are those that mark the great players. After a World Cup with many doubts, he deserved [a performance such as this]. "He is a great goalkeeper, and today he has [had] a great game, he has made some interventions that have marked the result of the game. Hopefully it is also a beginning, and that will help him to gain confidence because he is a key player for us."